Welcome back to Making mixed reality, a series celebrating the passionate community making mixed reality into a reality. Discover here how our most inspiring creators and fans got started with Microsoft’s technology, and how they are shaping the future of art, entertainment, and human connection with their vision. You can also find this post on the Windows Blog. 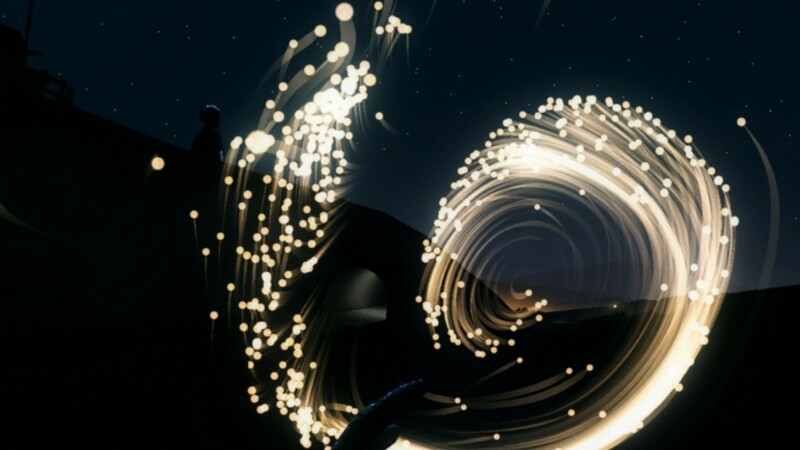 Created by Nicole McDonald and JauntVR, the full immersive app experience Free the Night is now available on Windows Mixed Reality. Read on to learn how its award-winning director made her childhood dream into a reality. 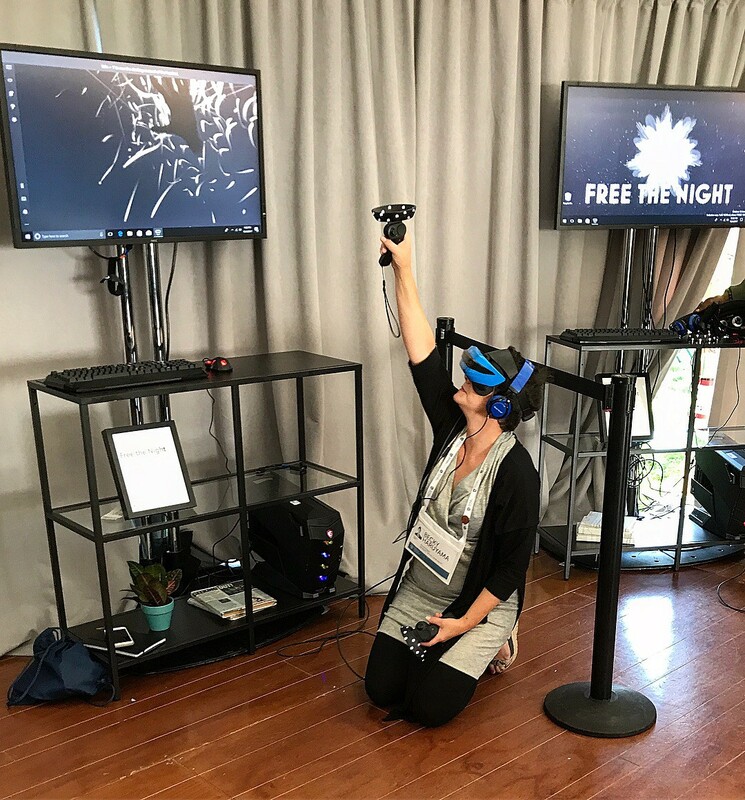 Recently, I had the pleasure of meeting Nicole McDonald, creator of Windows Mixed Reality immersive app experience Free the Night. But while some might bill the app as an interactive film, it would be an understatement to call Nicole simply a filmmaker. In the 15 years since she began creating in multimedia, Nicole has worn many hats — from that of game designer, to NASA collaborator, to marketing campaign manager for the world’s biggest names, including American Idol, Cirque Du Soleil, and Toyota. Now, Nicole is channeling her wealth of creative energy towards a new endeavor: the art of storytelling in mixed reality. 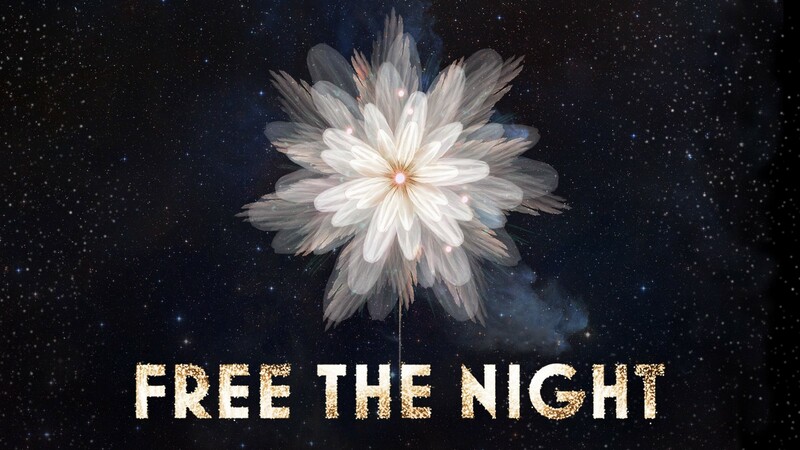 The latest in a list of interactive films she’s created — many of which have been featured in festivals such as Cannes, Sundance, and SXSW — Free the Night is a collaboration between Nicole and cinematic VR producer Jaunt Studios. 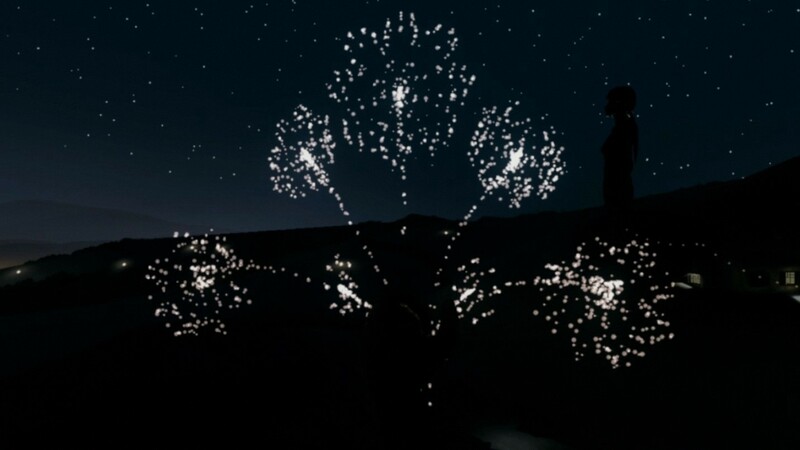 Designed exclusively for Microsoft’s Windows Mixed Reality immersive headsets, the experience enables audiences to place stars back into the sky and watch them glitter and swirl as they reclaim the night. In celebration of Free the Night’s full release last month, I sat down with Nicole to learn more about the initial spark behind her creation. 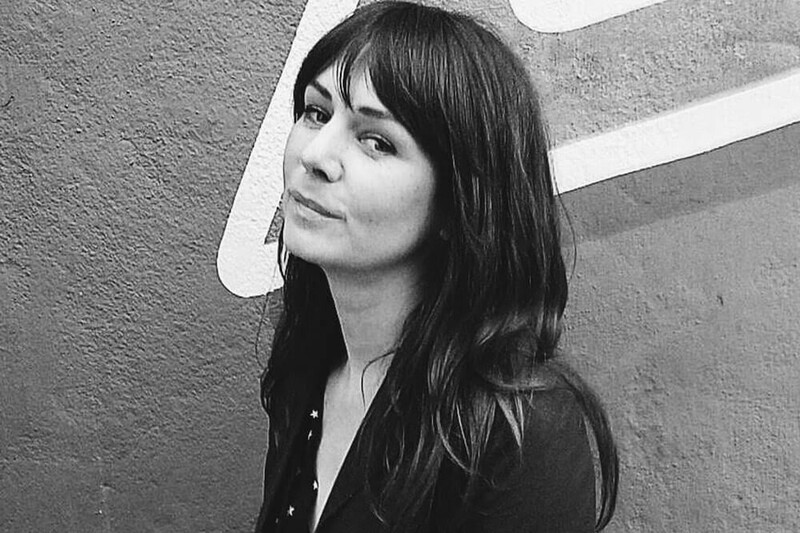 Nicole McDonald, director and creator of interactive film Free the Night. What inspired you to create Free the Night? Nicole: In general, I am deeply inspired by my memories of being a child and childhood. Free the Night was inspired by the most vivid of these: staring up into the night sky with my family. My father loved the sky and his enthusiasm and wonder of it pulled us all in. He would point out the constellations, and we’d discuss what could be out “there.” We grew up in a teeny tiny town and the sky was magnificent: there were thousands of stars, hints of the milky way, and we once saw a little bit of the aurora. But sadly, one year, a huge mall was constructed nearby and it washed out almost everything. The amber glow of the parking lot made it impossible to view from our front lawn. It was heartbreaking. I didn’t understand how, or why, someone could do that. Fast forward to a few years ago, when I was watching a fireworks display and thought how amazing it would be to have the same sky that my father introduced to me as the backdrop. I wanted to “blow” out all the lights out around me and… voilà, Free the Night was born. You come from a background in advertising, filmmaking, and gaming. What led you to mixed reality as the medium for this story? Nicole: I’ve always been interested in the marriage of narrative and technology, in understanding how innovative tools can enhance traditional storytelling. Mixed reality, to me, is placing the audience physically in the narrative, where they can participate and be moved emotionally by a story. It’s such a wonderful time of exploration, and we now have an audience that is curious, if not craving, these new media and experiences. 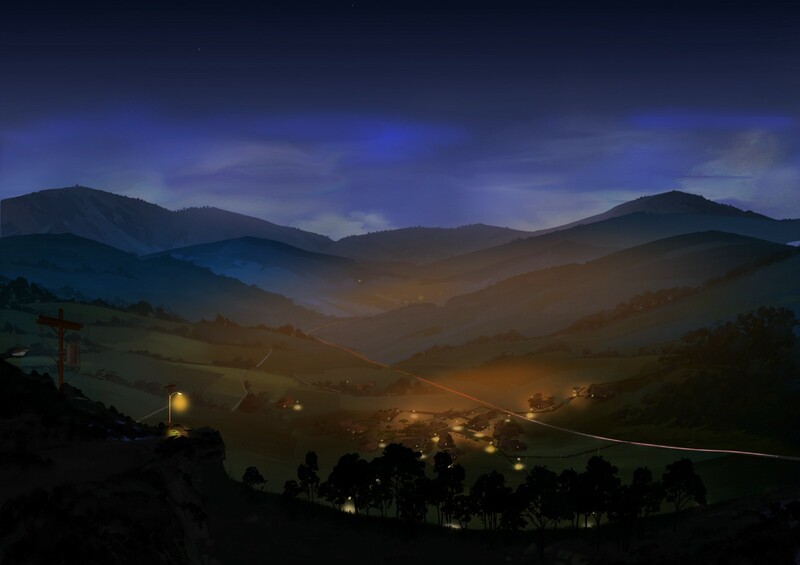 The setting of Free the Night, inspired by the creator’s hometown. What can audiences expect from Free the Night when they put on their headsets? Nicole: In Free the Night, we become giants in a mountainous landscape, tasked with liberating the stars into the night sky. We need to be able to get low enough to the ground to extinguish the manmade lights of the city and reach high enough to place the stars back into the sky. This requires us to interact with the entire 360-degree virtual space, a range of freedom only afforded in mixed reality. 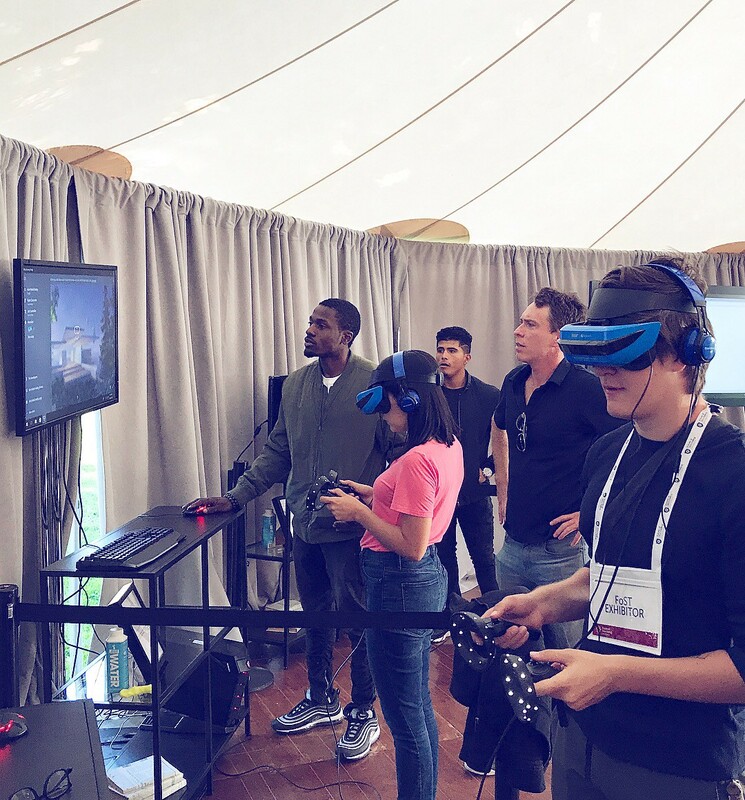 With Windows Mixed Reality immersive headsets, our audience has the seamless tracking and full “six degrees of freedom” to actively engage in the narrative and explore all around them. 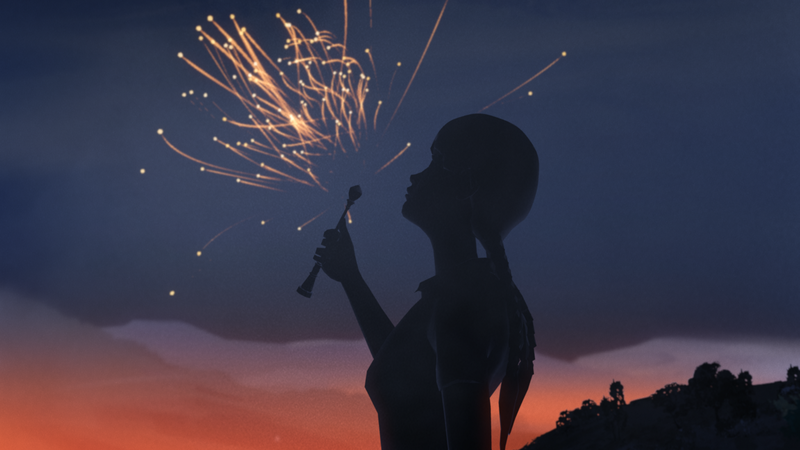 The story begins with the silhouette of a girl releasing lights back into the night sky. You mentioned that Free the Night encourages us to use our full 360-degree space with “six degrees of freedom” (6DOF). Can you tell me more about 6DOF for those of us who may be unfamiliar with it, and why you chose to incorporate it in your design? Nicole: 6DOF is the freedom of movement in 3D space. Six axes of movement allow us interact with objects that are as low as the ground and as high as we can lift our hands — left and right, back and forth… all around us. With immersive mixed reality, there’s something so delightful about playing with scale and exploring a narrative in 3D space. It challenges us to have new perspective and see and play in ways we haven’t before. Using motion controllers, audiences can swirl and play with the embers, freeing them into the night sky. Free the Night has been tagged as both “cinematic” and “interactive” — two qualities that, in conjunction, set the experience apart from your typical film or game. What inspired you to experiment with mixing the two media? Nicole: Honestly, it started when I was nine years old, in a basic computer coding class. We all worked on monochromatic monitors — the instructor explained that computers would someday show us more colors. Of course, he was describing monitors that would have RGB color profiles, but, at the time, I naively thought he meant that computers would allow us to see more colors than are in our current rainbow. My mind went wild. 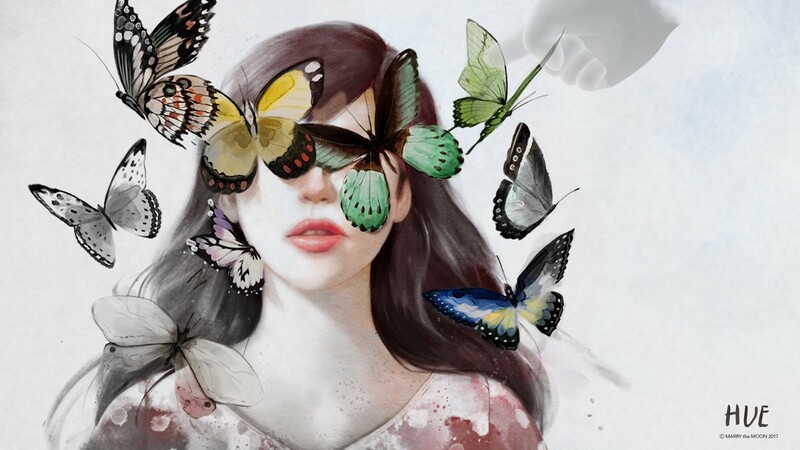 I made up stories of who and what lived in these unseen colors… What could they do that we couldn’t? Ever since, I’ve been captivated by using technology as a creative tool. I always ask myself if my concepts allow my audience to see more “colors,” more worlds that we’d never see without the innovations of today. I love exploring how we might profit from experiencing and interacting with these kinds of stories and, most importantly, how can we add joy and wonder to our audience’s lives. Once freed, the stars sparkle and burst in impressive displays. Did you have an ideal audience in mind when you decided to create this experience? Nicole: Ideally, Free the Night is for everyone. 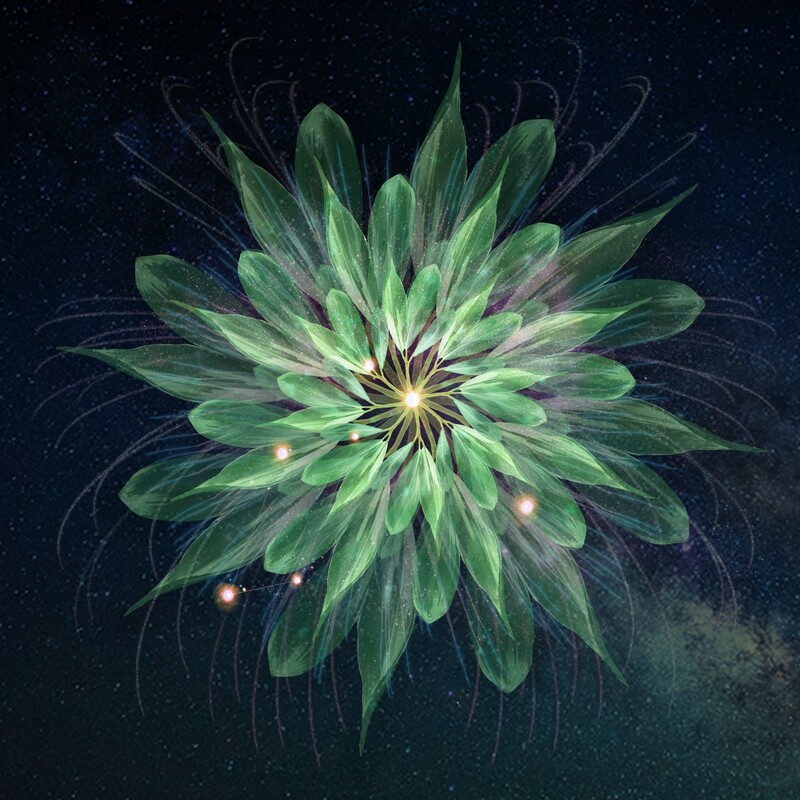 It’s a universal story for human beings, and because it’s for all, I especially wanted it to be an invitation to those who haven’t necessarily found their space, or connection with content, in mixed reality. People sometimes think that mixed reality is just for gaming or 360-degree passive experiences, but I want my projects to be all-embracing interactive experiences — experiences in which everyone is enticed to participate in, rather than be intimidated by, the medium. What, for you, was most intimidating about creating Free the Night? Nicole: One of the best and hardest parts of working on interactive experiences is the ice-cream headache you get when you have to find a solution but there is no playbook available. There are so many limitations and unknowns; as creators in this nascent space, we have to be a bit like MacGyver. For Free the Night, it was how to create the magic of extinguishing light embers in mixed reality. Traditionally, you can only have a small amount of particles on screen at any given time in VR. But we needed thousands, which would have personality and be responsive when we interacted with them. My dev team, led by long-time collaborator KC Austin, figured out how to write a system with compute buffers that allowed the experience to sing. More generally, the biggest challenge in creating with mixed reality is disrupting our preconceived notions of the medium. People are so often intimidated by the experience they’re about to enter, or nervous that they’re going to do something wrong. We’re so conditioned to approaching this medium as a game, rather than something more. My challenge is getting people to settle in the narrative instead of trying to get the highest score. Future of StoryTelling attendees were among the first to demo the experience in October. 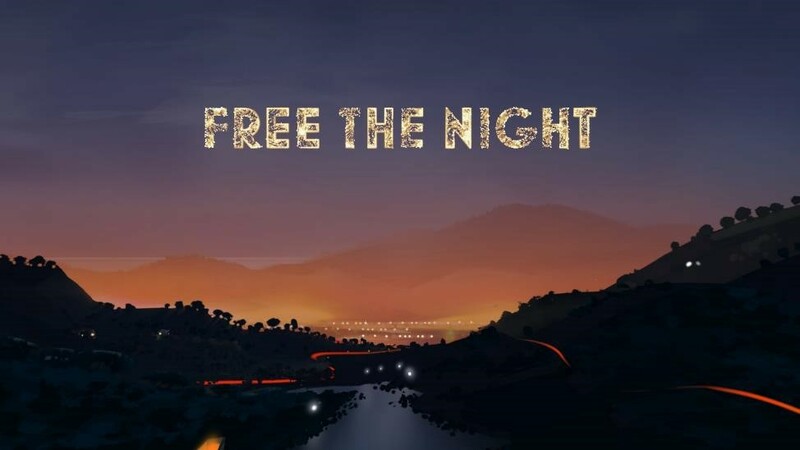 Free the Night recently debuted as a demo at the annual Future of StoryTelling Summit in New York. (Congratulations!) After months of working round-the-clock, what was it like finally seeing your demo premiere? Nicole: It was pinch-worthy. We had had our heads down working for a few months, so to see the general public instilled with the awe for which I’d hoped was a dream come true. My favorite response was that of a peer who tried Free the Night for the first time at the Summit. As she took off the headset, her eyes welled with tears. She told me how she had been transported to her own childhood and was filled with the same wonder I’d been way back when. It’s because of reactions like this that I can’t wait for everyone to experience the full project this month. A woman reaches for the stars at The Future of StoryTelling demo. If there’s one idea or impression you hope audiences take away from the full version of Free the Night, what would it be? My hope is that people feel more connected to the world when their headsets comes off — that by experiencing Free the Night, they are enticed to look up a little bit more often — and that they truly understand that we are the magic and Earth is Eden. We’ve talked a lot about your journey in making this childhood dream into a reality. Looking back, what advice do you have for someone aspiring to create an immersive experience as aesthetic and emotionally inspiring as Free the Night? Nicole: Oh, my… Well, first, for those who want to create in the space, it’s extremely difficult and thus can be extremely fortifying. Before you begin, ask yourself what you want your audience to feel or take away from the experience. Try to understand how the idea will blossom in the medium; take advantage of what you can do inside mixed reality that you can’t do in traditional linear 2D displays. Don’t be afraid of limitations; you can execute the essence of ideas in many ways. Always, always storyboard, create animatics, and test and play. For those new to MR, please, don’t be intimidated. There is no right or wrong way to create an interactive experience. Get comfortable; look around at your environment before trying to rush through it. Approach everything with the wonderment you had as a child. Free the Night promises 360 degrees of breathtaking scenes like the one above. One last question, Nicole, before I let you go… Now that Free the Night is officially on Windows Mixed Reality, what’s next? Nicole: Surfing and yoga… haha. But really, I’ll be working on the full experience for HUE, an interactive film about a man named Hue who has lost his ability to see color. In this touch-based tale, he is reactive to our presence and touch like a living breathing being. We help Hue find his “full spectrum” by aiding him to see the everyday joy around him and his own potential to be wonderful. Thanks so much for taking the time to share your story, Nicole, and congratulations, again, on creating such a breathtaking experience. I can’t wait to try Free the Night again this week! Free the Night is available from the Microsoft Store. Download it for free on your PC and plug in your headset to experience the magic of Windows Mixed Reality. For more inspiration, check out our previous spotlights and stay tuned for our next installment of Making mixed reality.